BRASILIA, Feb. 28 (Xinhua/Sun) -- Visiting Venezuelan Foreign Minister Elias Jaua said here Friday his country sought Brazil's support for its request that the Union of South American Nations (Unasur) convene a meeting on Venezuela's political turmoil. Jaua denounced the anti-government protests that have swept Venezuela for nearly a month, adding that Brazil had reacted positively to his call for a Unasur meeting. He said he would travel later Friday to Suriname, which currently holds Unasur's rotating presidency, to formally request the meeting. The government of Venezuelan President Nicolas Maduro was under attack by "neo-fascist" opposition groups bent on mounting a coup, and an Unasur meeting was needed to address "this new attempt to shatter Venezuela," the top Venezuelan diplomat said after talks with his Brazilian counterpart Luiz Alberto Figueiredo. The minister voiced hope that the meeting would serve as a message that South America will not tolerate violent attacks and that the "democratic way" was the only way to come to power in Venezuela. "Venezuela is fighting a neo-fascist current of thinking that has been arming a paramilitary culture, based on social and political intolerance towards the sector of the population that supports chavismo (socialism)," said Jaua. Jaua arrived in Brasilia in the small hours Friday on his last leg of a lightning visit to member countries of the Southern Common Market (Mercosur) to update allies on the recent violence rocking Venezuela and shore up support for the Venezuelan government. 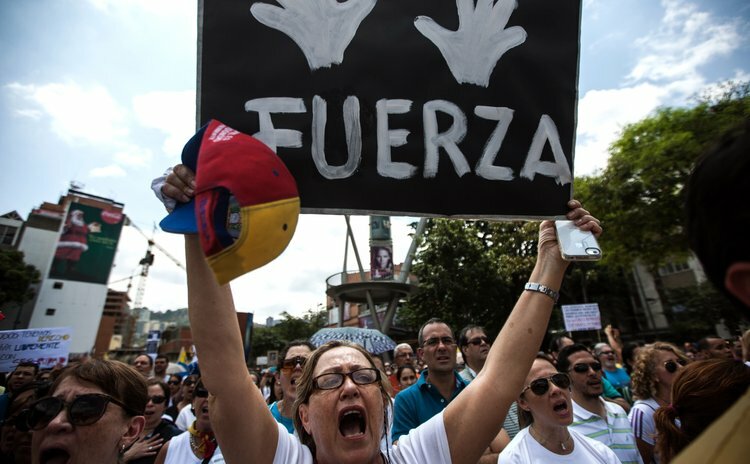 Also Friday, Venezuela's General Prosecutor Luisa Ortega Diaz told reporters in Caracas that the number of deaths due to ongoing violent protests that broke out on Feb. 12 had climbed to 17, with another 261 people injured.